It is going to take a while to shower the clingy, sticky mucus that was the sporting weekend just past off. For fans of the Irish soccer team and fans of the Boston Celtics (and indeed fans of both like myself!) Monday morning is depressing to an extra factor of twenty after the brutal results Saturday and Sunday night. Don't even talk to me about the Red Sox. Now, in light of the unbelievably poor showing against Croatia, we don't want to get all Brian Griffin on you, however, it must be noted, we did tell you so! However, the 'lost weekend' of sports wasn't without a couple of dignified, heart warming aspects to it. First to the incredible Irish soccer fans who have traveled to Eastern Europe to follow their team. It is important not to just nod your head and mumble 'yeah I know, they are great'. What we are seeing unfold in front of us is one of the greatest displays of support ever seen in soccer and maybe in sports as a whole. 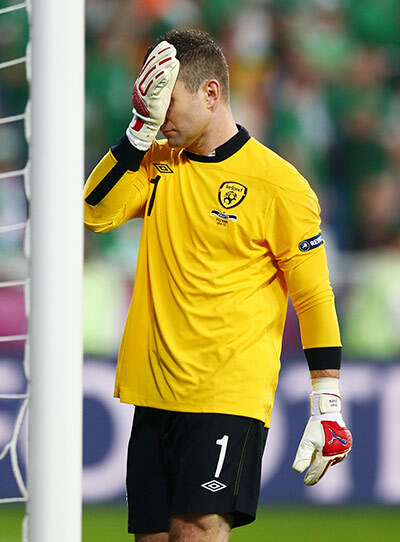 Despite a knee-buckling recession in their homeland, Irish fans have thrown caution to the wind and flocked en-masse to follow a team that includes such luminaries as Keith Andrews, Simon Cox and, yes, him, Glenn Whelan. They not only deserve our adulation, they deserve a medal! UEFA release some incredible figures last week, as it turns out, Irish soccer fans bought up 35,000 tickets to the finals. By comparison, English soccer fans bought a miserly 15,000. 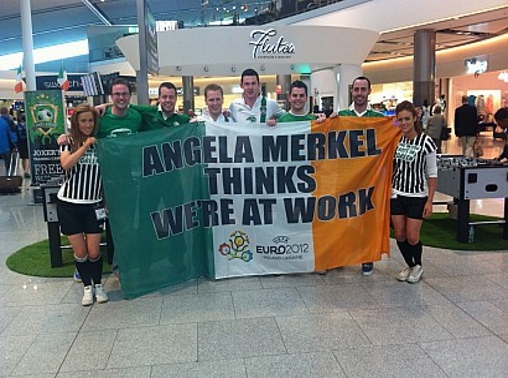 That gives you some idea how passionately the Irish support their team. Now to the Celtics fans, and their incredible display of support as Game 6 slowly phased itself out to a close. At first glance this below footage may not look like much, but then consider the context, Boston had just been beaten up by LeBron and the Heat, on their home court. Consider the likelihood that this was probably (and as it turned out, most likely) the last time these fans would see these players together as a unit. Then consider the sheer volume and passion of the 'Let's go Celtics' chant that hovers in the air for a full four minutes as the game fades away slowly to zero seconds. For me, this amazing display of passion from the Boston Celtics fans was a dignified and heart warming 'thank you' to the big three in particular. 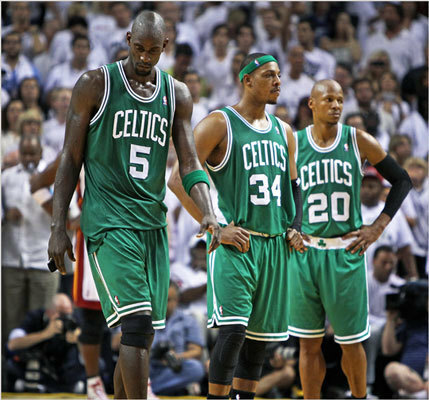 Everyone knows the team will probably be blown up this off-season, and Celtics fans have loved every second of cheering for Ray Allen, Kevin Garnett, Paul Pierce and their team mates. Despite being down and beaten on the night by Miami, the look on the faces of Allen, KG and Pierce is one of incredible dignity and thankfulness to have played in front of such a basketball-knowledgeable and passionate crowd. That thankfulness is repaid in full by the Bostonians in attendance on the night. Terrible sporting weekend, however the memory of the incredible Celtics fans, and the colourful, passionate and gregarious Ireland fans will live on way longer than the score of any game. Let's go Celtics. 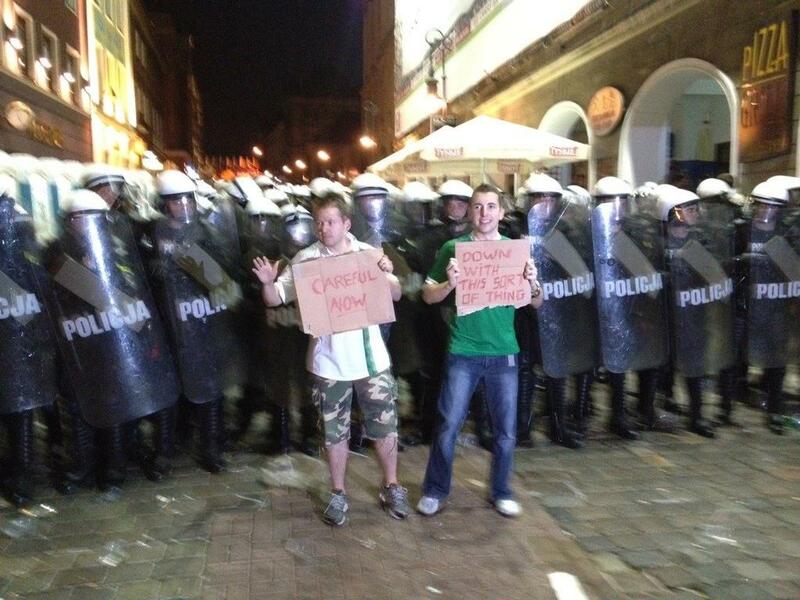 Come on Ireland.